There’s no need to compromise on quality when you drive home in a used car from Balise Honda of West Warwick. We have plenty of used Honda vehicles in stock, non-Honda used cars, and a rotating selection of used vehicle offers. After you’ve perused our Balise Honda used cars, trucks, and SUVs online, make your way to us for a closer look. Find out why we’re one of the best used car dealers in West Warwick! ONE OWNER!! NO ACCIDENTS!! ALLOY WHEELS!! BACKUP CAMERA!! CD PLAYER!! POWER WINDOWS AND DOOR LOCKS!! Our trained technicians completed the inspection process and we performed a fresh synthetic oil & filter change, tire balance and rotation, and alignment before our detail department made it shine, now all this vehicle needs is YOU! We accept all trades and have the most competitive financing terms because of the volume power of Balise!! Call Balise Honda TODAY to schedule an appointment for a test drive at 401-822-2000 or drop by Monday - Friday 9-9, Saturday 9-6 and open every Sunday 12-6! ONE OWNER!! CLEAN CAR!! ALLOY WHEELS!! BLUETOOTH!! BACKUP CAMERA!! CD PLAYER!! POWER WINDOWS AND DOOR LOCKS!! CHROME DOOR HANDLES!! Our trained technicians completed the inspection process and we performed a fresh synthetic oil & filter change, tire balance and rotation, and alignment before our detail department made it shine, now all this vehicle needs is YOU! We accept all trades and have the most competitive financing terms because of the volume power of Balise!! Call Balise Honda TODAY to schedule an appointment for a test drive at 401-822-2000 or drop by Monday - Friday 9-9, Saturday 9-6 and open every Sunday 12-6! ONE OWNER!! ALLOY WHEELS!! BACKUP CAMERA!! LARGE TOUCH SCREEN DISPLAY!! CD PLAYER!! LEATHER SEATS!! HEATED FRONT SEATS!! PUSH TO START!! KEYLESS ENTRY!! DUAL ZONE CLIMATE CONTROL!! POWER SUNROOF!! POWER WINDOWS AND DOOR LOCKS!! Our trained technicians completed the inspection process and we performed a fresh synthetic oil & filter change, tire balance and rotation, and alignment before our detail department made it shine, now all this vehicle needs is YOU! We accept all trades and have the most competitive financing terms because of the volume power of Balise!! Call Balise Honda TODAY to schedule an appointment for a test drive at 401-822-2000 or drop by Monday - Friday 9-9, Saturday 9-6 and open every Sunday 12-6! ONE OWNER!! NO ACCIDENTS!! V6!! ALLOY WHEELS!! BACKUP CAMERA!! LARGE SCREEN DISPLAY!! BLIND SPOT CAMERA!! CD PLAYER!! HEATED SEATS!! LEATHER SEATING!! POWER SEATS!! POWER SUNROOF!! MEMORY SEATING!! PUSH TO START!! POWER WINDOWS AND DOOR LOCKS!! Our trained technicians completed the inspection process and we performed a fresh synthetic oil & filter change, tire balance and rotation, and alignment before our detail department made it shine, now all this vehicle needs is YOU! We accept all trades and have the most competitive financing terms because of the volume power of Balise!! Call Balise Honda TODAY to schedule an appointment for a test drive at 401-822-2000 or drop by Monday - Friday 9-9, Saturday 9-6 and open every Sunday 12-6! ONE OWNER!! NO ACCIDENTS!! ALLOY WHEELS!! BACKUP CAMERA!! CD PLAYER!! LEATHER SEATS!! HEATED SEATS!! CLIMATE CONTROL!! POWER WINDOWS AND DOOR LOCKS!! 7 SPEAKER SOUND SYSTEM!! Our trained technicians completed the inspection process and we performed a fresh synthetic oil & filter change, tire balance and rotation, and alignment before our detail department made it shine, now all this vehicle needs is YOU! We accept all trades and have the most competitive financing terms because of the volume power of Balise!! Call Balise Honda TODAY to schedule an appointment for a test drive at 401-822-2000 or drop by Monday - Friday 9-9, Saturday 9-6 and open every Sunday 12-6! ONE OWNER!! NO ACCIDENTS!! BACKUP CAMERA!! LARGE DISPLAY SCREEN!! BLUETOOTH!! DUAL ZONE CLIMATE CONTROL!! POWER WINDOWS AND DOOR LOCKS!! Our trained technicians completed the inspection process and we performed a fresh synthetic oil & filter change, tire balance and rotation, and alignment before our detail department made it shine, now all this vehicle needs is YOU! We accept all trades and have the most competitive financing terms because of the volume power of Balise!! Call Balise Honda TODAY to schedule an appointment for a test drive at 401-822-2000 or drop by Monday - Friday 9-9, Saturday 9-6 and open every Sunday 12-6! ONE OWNER!! NO ACCIDENTS!! ALLOY WHEELS!! BACKUP CAMERA!! LARGE SCREEN DISPLAY!! CD PLAYER!! LANE KEEP ASSIST!! FORWARD COLLISION ALERT!! POWER WINDOWS AND DOOR LOCKS!! Our trained technicians completed the inspection process and we performed a fresh synthetic oil & filter change, tire balance and rotation, and alignment before our detail department made it shine, now all this vehicle needs is YOU! We accept all trades and have the most competitive financing terms because of the volume power of Balise!! Call Balise Honda TODAY to schedule an appointment for a test drive at 401-822-2000 or drop by Monday - Friday 9-9, Saturday 9-6 and open every Sunday 12-6! ONE OWNER!! NO ACCIDENTS!! V6!! PREMIUM ALLOY WHEELS!! NAVIGATION!! BLUETOOTH!! BACKUP CAMERA!! CD PLAYER!! POWER SUNROOF!! POWER WINDOWS AND DOOR LOCKS!! Our trained technicians completed the inspection process and we performed a fresh synthetic oil & filter change, tire balance and rotation, and alignment before our detail department made it shine, now all this vehicle needs is YOU! We accept all trades and have the most competitive financing terms because of the volume power of Balise!! Call Balise Honda TODAY to schedule an appointment for a test drive at 401-822-2000 or drop by Monday - Friday 9-9, Saturday 9-6 and open every Sunday 12-6! This outstanding example of a 2018 Honda Accord Sedan is offered by our dealership. This Honda includes: STILL NIGHT PEARL BLACK, CLOTH SEAT TRIM *Note - For third party subscriptions or services, please contact the dealer for more information. * Stylish and fuel efficient. It's the perfect vehicle for keeping your fuel costs down and your driving enjoying up. You can finally stop searching... You've found the one you've been looking for. Beautiful color combination with Blue exterior over BK/BLACK interior making this the one to own! We accept all trades and offer competitive financing terms. Call us today to schedule an appointment for a test drive. Honda CERTIFIED!! 4YR/48,000 AND 7YR/100,000 WARRANTY!! ONE OWNER!! NO ACCIDENTS!! ALLOY WHEELS!! NAVIGATION!! BACKUP CAMERA!! HEATED SEATS!! LEATHER SEATS!! POWER SUNROOF!! BLUETOOTH!! APPLE CAR PLAY!! ANDROID AUTO!! CD PLAYER!! POWER WINDOWS AND DOOR LOCKS!! Our trained technicians completed the inspection process and we performed a fresh synthetic oil & filter change, tire balance and rotation, and alignment before our detail department made it shine, now all this vehicle needs is YOU! We accept all trades and have the most competitive financing terms because of the volume power of Balise!! Call Balise Honda TODAY to schedule an appointment for a test drive at 401-822-2000 or drop by Monday - Friday 9-9, Saturday 9-6 and open every Sunday 12-6! ONE OWNER!! NO ACCIDENTS!! BLUETOOTH!! BACKUP CAMERA!! ALLOY WHEELS!! CD PLAYER!! POWER WINDOWS AND DOOR LOCKS!! Our trained technicians completed the inspection process and we performed a fresh synthetic oil & filter change, tire balance and rotation, and alignment before our detail department made it shine, now all this vehicle needs is YOU! We accept all trades and have the most competitive financing terms because of the volume power of Balise!! Call Balise Honda TODAY to schedule an appointment for a test drive at 401-822-2000 or drop by Monday - Friday 9-9, Saturday 9-6 and open every Sunday 12-6! ONE OWNER!! NO ACCIDENTS!! BACKUP CAMERA!! LARGE SCREEN DISPLAY!! BLUETOOTH!! CD PLAYER!! POWER WINDOWS AND DOOR LOCKS!! Our trained technicians completed the inspection process and we performed a fresh synthetic oil & filter change, tire balance and rotation, and alignment before our detail department made it shine, now all this vehicle needs is YOU! We accept all trades and have the most competitive financing terms because of the volume power of Balise!! Call Balise Honda TODAY to schedule an appointment for a test drive at 401-822-2000 or drop by Monday - Friday 9-9, Saturday 9-6 and open every Sunday 12-6! ONE OWNER!! NO ACCIDENTS!! BLUETOOTH!! BACKUP CAMERA!! CD PLAYER!! POWER WINDOWS AND DOOR LOCKS!! Our trained technicians completed the inspection process and we performed a fresh synthetic oil & filter change, tire balance and rotation, and alignment before our detail department made it shine, now all this vehicle needs is YOU! We accept all trades and have the most competitive financing terms because of the volume power of Balise!! Call Balise Honda TODAY to schedule an appointment for a test drive at 401-822-2000 or drop by Monday - Friday 9-9, Saturday 9-6 and open every Sunday 12-6! NO ACCIDENTS!! ALLOY WHEELS!! BLUETOOTH!! Honda SENSING!! BACKUP CAMERA!! CD PLAYER!! LEATHER SEATS!! HEATED SEATS!! POWER SEAT!! POWER WINDOWS AND DOOR LOCKS!! Our trained technicians completed the inspection process and we performed a fresh synthetic oil & filter change, tire balance and rotation, and alignment before our detail department made it shine, now all this vehicle needs is YOU! We accept all trades and have the most competitive financing terms because of the volume power of Balise!! Call Balise Honda TODAY to schedule an appointment for a test drive at 401-822-2000 or drop by Monday - Friday 9-9, Saturday 9-6 and open every Sunday 12-6! ONE OWNER!! ALLOY WHEELS!! BACKUP CAMERA!! CD PLAYER!! POWER WINDOWS AND DOOR LOCKS!! Our trained technicians completed the inspection process and we performed a fresh synthetic oil & filter change, tire balance and rotation, and alignment before our detail department made it shine, now all this vehicle needs is YOU! We accept all trades and have the most competitive financing terms because of the volume power of Balise!! Call Balise Honda TODAY to schedule an appointment for a test drive at 401-822-2000 or drop by Monday - Friday 9-9, Saturday 9-6 and open every Sunday 12-6! ONE OWNER!! NO ACCIDENTS!! AWD!! BLUETOOTH!! POWER WINDOWS!! POWER DOOR LOCKS!! Our trained technicians completed the inspection process and we performed a fresh synthetic oil & filter change, tire balance and rotation, and alignment before our detail department made it shine, now all this vehicle needs is YOU! We accept all trades and have the most competitive financing terms because of the volume power of Balise!! Call Balise Honda TODAY to schedule an appointment for a test drive at 401-822-2000 or drop by Monday - Friday 9-9, Saturday 9-6 and open every Sunday 12-6! ONE OWNER!! NO ACCIDENTS!! AWD!! ALLOY WHEELS!! FOG LIGHTS!! BACKUP CAMERA!! LARGE SCREEN DISPLAY!! CD PLAYER!! HEATED SEATS!! LEATHER SEATING!! POWER SEATS!! POWER WINDOWS AND DOOR LOCKS!! Our trained technicians completed the inspection process and we performed a fresh synthetic oil & filter change, tire balance and rotation, and alignment before our detail department made it shine, now all this vehicle needs is YOU! We accept all trades and have the most competitive financing terms because of the volume power of Balise!! Call Balise Honda TODAY to schedule an appointment for a test drive at 401-822-2000 or drop by Monday - Friday 9-9, Saturday 9-6 and open every Sunday 12-6! 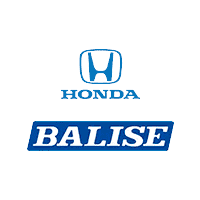 If you’re looking for car dealerships in RI with used cars, turn to Balise Honda. Because of our varied stock of popular pre-owned options, we’re confident that you’ll find a model you love within your budget. We even offer many used cars under $15,000. Have questions? Feel free to contact us about our used inventory before making your way from Warwick to take a test drive. We’re confident you’ll find the right car for your lifestyle, whether it’s a used Honda or a used vehicle of a different make.